SEVERED! Noitu Love: Devolution! Ace Attorney DLC! Polara! More! Another week begins, and we have the Nintendo Download Update details of the goodies coming to Europe later this week. Wii U and 3DS are sharing a couple of big name 'Nindie' titles, while there are also a number of other download-only arrivals to consider. There are some discounts, DLC and a 3DS HOME Theme to also check out, so let's get to it. 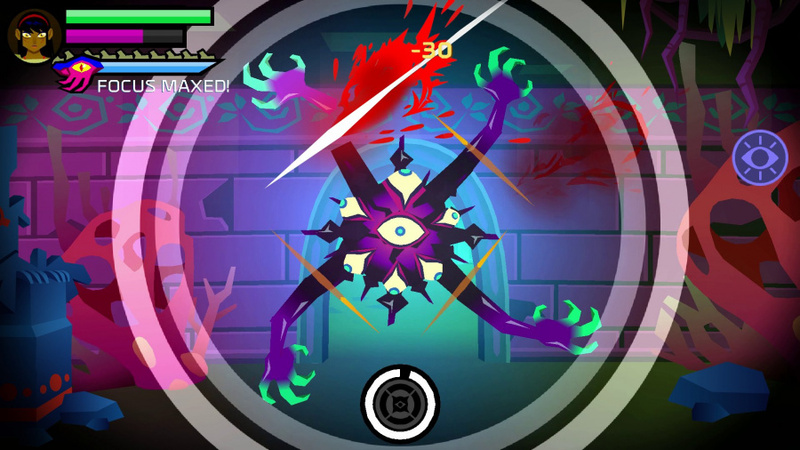 SEVERED (Drinkbox Studios, €13.49 / £10.79 until 29th September, normally €14.99 / £11.99, cross-buy available on 3DS with same Nintendo Network ID) - A title previously released on Vita, it offers a twist on first-person dungeon crawling with touchscreen-based combat. You swipe at enemy limbs and weakspots with the stylus, and outside of combat there's character customisation to consider. We'll get working on a review, but in the meantime your can see our hands on impressions from earlier in the year. Noitu Love: Devolution (MP2 Games, €7.99 / £6.99 until 29th September, €4.49 / £3.99 if you also own the 3DS version, normally €8.99 / £7.99) - Part of the Nindie 'Summer Jam' promotion, this colourful action title (which may remind players of classics like Gunstar Heroes, Metal Slug or Contra) arrives on the eShop after making a positive impact on Steam. The twist is that you move your character with the left stick and aim a crosshair to attack; this Wii U version supports the GamePad + stylus or Wii Remote + Nunchuk, and we certainly enjoyed it in our Noitu Love: Devolution review. Dreamals: Dream Quest (XINESS, €9.99 / £8.99) - Three cute animals return for more puzzle platforming after a thoroughly decent debut release. In this sequel the animals can combine together while trying to make it through a promised 100 stages. Laser Blaster (Petite Games, €1.99 / £1.79) - This sounds like a modern take on an '80s arcade classic, as you aim and fire rockets from the ground to take out waves of enemy lasers coming down from the sky, in this case using the GamePad. Mahjong (Sanuk Games, €4.99 / £4.49) - We seem to have had a lot of variations and releases in this genre across DS, 3DS and even Wii. Now it's the turn of the Wii U for some tile matching action. Double Breakout (nuGAME, €7.00 / £6.00) - It seems we're seeing a mini-revival of Breakout games, with this being the second in as many weeks; this effort from nuGAME promises to blend elements of Breakout and Pong over 20 stages (with support for two players). TITANS TOWER (RCMADIAX, €1.49 / £1.39) - This one seems to be all about jumping your way up a tower, grabbing loot and power-ups to accumulate a big high score. SEVERED (Drinkbox Studios, €13.49 / £10.79 until 29th September, normally €14.99 / £11.99, cross-buy available on Wii U with same Nintendo Network ID) - As per the Wii U version, but playable on the go. Noitu Love: Devolution (MP2 Games, €7.99 / £6.99 until 29th September, €4.49 / £3.99 if you also own the Wii U version, normally €8.99 / £7.99) - As per the Wii U version, but naturally available to play on the go; we break down the differences with the portable version in our review. 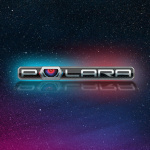 Polara (CIRCLE Entertainment, €5.00 / £4.99) - This one looks promising in terms of its concept, as it's a pacy runner in which you have to jump and 'change' your character's colour, matching the environmental dangers with twitch reflexes. We'll give it a run for its money in a review. 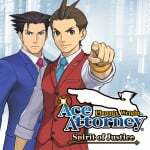 Phoenix Wright: Ace Attorney - Spirit of Justice: Apollo Justice: Asinine Attorney (Capcom, €3.99 / £3.59) - A short scenario, which is a non-canonical 'what if' according to the Ace Attorney wiki. Download this add-on content and get the HOME menu theme "AA:Spirit of Justice Apollo Justice Pixel Art" for free. So, what exactly is Phoenix Wright: Ace Attorney - Spirit of Justice: Apollo Justice: Asinine Attorney DLC (Gotta love the long name)? I'd Google it but I'm afraid of spoilers. Is it an extra case, more costumes or something else? I'm very excited to play Severed and Noitu Love! @Late I googled it for you It's a "short scenario, which is a non-canonical 'what if'" according to the Ace Attorney wiki. Severed is so good! Buy it if you don't already have it! It may have happened many times before, but apart from Ace DLC, there's absolutely nothing 1st or 2nd party? Just some indie titles. Don't get me wrong, I like indie games, but there's no fan service here. Getting that AA DLC if only for possible hilarity and that 3DS theme. Severed is really worth picking up, I got it on Vita when it was on sale a couple of weeks ago, and rushed straight through it. Well designed fun game, that wears it's influences proud and does touch-controls right! That Phoenix Wright DLC came out Last Thursday! I already downloaded it and started playing it! I even downloaded the theme! It seems to be a court only case that is not an actual trial, but trying to buy time during a hostage situation! It is a non-canonical episode featuring Pearl. It seems to kinda fit after case 3, as it also features Maya, and refers to things touched on in case 3. Nintendo Direct week, calling it! 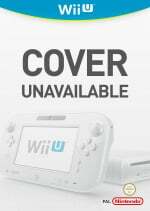 Juat because Nintendo's been ignoring the Wii U with retail games doesn't mean it should do that on the eshop as well! @ThomasBW84 Thanks. That's still a bit vague but fortunately @ChessboardMan had some more info to share. We seem overdue for another Kemco RPG for a while it was one every three months. Last week's DLC was Phoenix Wright: Asinine Attorney. This week is Apollo Justice: Asinine Attorney. Different scenarios/themes. @Phil_Kavadias @whodatninja Like the calm before the Christmas storm. Nothing for me. Might try a few when in sale and my backlog's smaller. Got all the Sega 3d games from last week's sale to play through. Pretty naff week but what do you expect with the NX round the corner... right? In a way, I can't wait for the NX just so those bloody familiar cheapo games can't continuously be on sale! @Moon Yeah, I'm kind of fed up of all the cheapo games too. Roll on NX. @Late Haha, well I was trying to avoid spoilers There are actually two of these DLCs, so I believe this is the second one. Russia (and other countries like mine which Nintendo's geographers believe to be Russia in all but IP-based services) has yet to get Yokai Watch discount from last week, although it spells some hope that the discount will end accordingly later. That's my financial priority for now. I even decided against investing into some curious sale items like Zombie Panic In Wonderland or Adventure Bar for now despite considering them earlier. Severed and noitu love look pretty good. Noitu love looks as if it'd be best with wiimote+nunchuck. Nothing for me this week, but I'll probably grab that Phoenix Wright DLC once I start playing that. It includes as well 2 new languages (italian and french) thanks to the fans of the game! I hope for everyone getting the game in this week, that you enjoy this changes! How am I just now finding out about Severed? I had no idea about this game yet just one look at it and I knew it done by Drinkbox. Is this game gonna be as epic as Guacamelee! ??? 0 for me this week. Well my guess is that this will be a similar non-trial trial scene that mostly reuses existing characters in the game with a few extra classic characters thrown in. My guess would be a return of Mr Butz and Miss Oldbag, but that's just hopeful thinking. The first one from last week also includes Edgeworth as the 'prosecutor'. @bezerker99 it's already out on smart phones and PS Vita. It's a kind of first person maze puzzle game affair, with interesting touch screen based combat. I would get TITAN'S TOWER. Because we all know it will be a good game! Severed for sure and maybe Noitu Love for me this week. @ThomasBW84 I guess there's a fine line between what I think are spoilers and what's not. The main thing I was wondering was if there's gameplay in there or if it's some kind of short movie or something. I got my answer to that question. I think they could have named it a bit better since the name itself hardly tells anything about the content. I'm sure you can get more info in-game before you decide to purchase it. I'll take a look at the DLC shop once I've finished the main game. By the by, which version are you getting? Definite mini-revival of breakout games. We got 360 Breakout (nuGAME), Dragon Skills (Joindots), Brick Breaker (Sanuk Games), and Double Breakout (nuGAME again), without much pause between them. I think it's Arkanoid's 30th birthday. Polara is a fantastic game - it's been around on mobile at a fraction of that price for a long time though. I just wanted to see how many people voted for the last option. NX release date where are you.